ORANGETOWN. 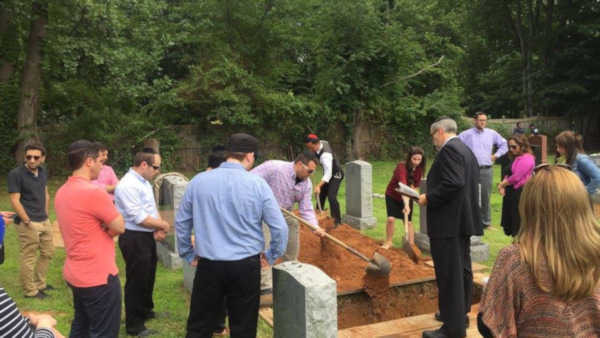 New York (WABC) -- About 30 people have paid their respects to a woman they never met after responding to a call for attendees for a suburban New York funeral at which no one was expected to show up. The Journal News reports the strangers served as Francine Stein's pallbearers and also helped bury her during the service Wednesday at a cemetery in Orangetown. Stein died at the age of 83. Rabbi Elchanan Weinbach officiated the service and says there was no eulogy because he didn't know anything about the woman. He learned at the cemetery that Stein was a musician and had taught at the Julliard School. The call for volunteers came on Facebook from Weinbach's daughter. One attendee said she came to the service as a simple act of "human decency."